Joao Castilho is a musician who always aims to build a solid link between how he feels the music inside and what runs through his electric and acoustic guitar, always mindful that this relationship does not cause any conflict. "I play as if singing, trying to use the same nuances of a human voice or a wind instrument" say Castilho. Free of musical prejudices, he is always open to all kinds of musical expression that comes to him. Castilho was born in Rio de Janeiro in 1970 and began playing at age 9. His first contacts with stringed instruments took place at his grandfather's farm, where he played the "cavaquinho" with locals, using picks made ​​of ox horn. But only for 13 years, encouraged by his father, Alberto Castillo (trumpet player), began to study music seriously. In '98 he released his first CD called “EQUILIBRIUM” and he was invited by the singer-songwriter Djavan to join his band. Since then he's recorded and performed with many artists including Maria Bethânia, Djavan, Ed Motta, Lisa Nilsson, Ivan Lins, Eumir Deodato, Roberto Carlos, Simone, Leny Andrade, Sandra de Sá, Nana Caymmi, Zé Renato, Sandy e Júnior, and Mads Vinding. Joao just released his new CD “PERCEPÇÕES.” All the compostions on the CD are inspired by his 'perception' of photographs by the great photographer Tatyana Andrade. In effect, a "game" of emotions where Joas interprets Tatyana's photographs with his guitar. Mixed by Torcuato Mariano, the CD brings special guest pianists Fernando Moura, João Carlos Coutinho, Paulo Calasans e Renato Fonseca, the bassists Jefferson Lescowich and Rômulo Gomes and the saxophonist Marcelo Martins. 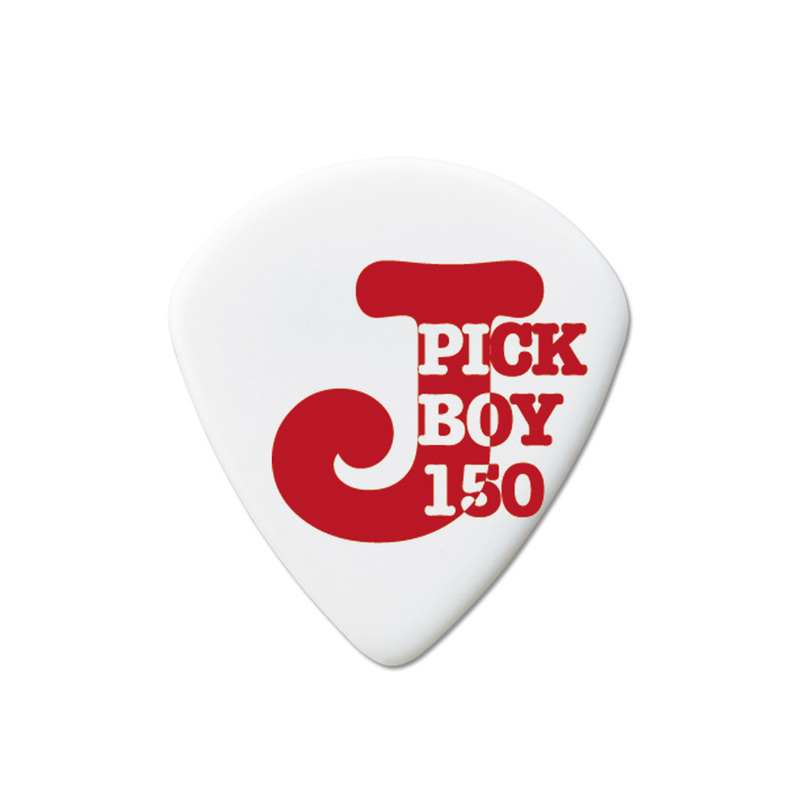 Joao uses Pickboy Jazz picks in both 1.20 and 1.50mm and the Mooer Ninty Orange, Baby Tuner, Graphic EQ, Ensemble King, Reecho, Rumble Drive, and Solo. Click here to read our exclusive interview with Joao.